(R) So, you just walked into Finance 101 and the professor hands you a quiz. Don't worry, it's not a bad dream! It's multiple choice, so you've got good odds. Much better odds than the ratings agencies seem to have of rating things. 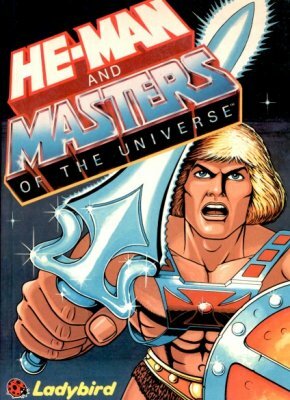 I've been doing a little reading of book reviews to add some items to my Amazon wish list (hint, it's right here), and I have enjoyed the commentary mocking our esteemed Masters of the Universe (no, not this). I've never excelled at the probability and statistics arena. Perhaps that's part of what makes it so juicily delicious that the guys who thought they did understand screwed up so royally. Being part of a tail, an outlier, one develops an appreciation for other outliers. The way I figure it, if you can recognize when the professor puts up the data points for the test that you're an outlier and calculate that your score was in the bottom 5% because you were over two standard deviations from the mean, that should mean you understand the material. But alas, I digress. The point of this diatribe isn't to look back fondly upon those lovely two semesters of stats ('Quantitative Business Analysis' in the Olin lingo du jour). Rather, the point is to serve as a reminder that common sense is a bedrock principle for designing policies in the real world. The mathematics itself is rarely flawed. Unfortunately, real people have a tendency to apply math in ways where the real world doesn't match the academic assumptions. When this is done accidentally, it's sad enough. When this is coordinated policy at some of the most powerful corporations in the country, it's infuriating. And dangerous, a threat to our welfare and even our democracy. Perhaps the most skewered comment by an executive back in 2007 when all this was unfolding was offered by David Viniar, Goldman Sachs' Chief Financial Officer. See if you can spot the crazy. “We were seeing things that were 25-standard deviation moves, several days in a row,” said David Viniar, Goldman’s chief financial officer. He followed that with, oh, and the Kansas City Royals are going to win the next 5 World Series. For the book review from Naked Capitalism on Lecturing Birds on Flying, click here. For some handy concise definitions and charts, Risk Glossary is very nice. For regulators/executives/both I'm not too fond of, see Hank 'the banks are sound' Paulson, Gary 'don't regulate derivatives' Gensler, Ed 'AIG bonus contracts are sacred' Liddy, or Lloyd 'we're fully hedged but put me in the meeting anyway' Blankfein. And those are just the recent Goldman visionaries. Don't even get me started on Robert 'see, Dems can represent corporate America, too' Rubin, Larry 'don't ask who paid me money when it looked like I was going to be close to the new President' Summers, Tim 'I couldn't possibly be responsible for anything, all I did was run the NY Fed' Geithner, or Ben 'at least I'm not Alan' Bernanke. /(R) That does feel a lot better. Now if we could just please have our trillions of tax dollars back please. There's a writer/journalist/all-around-troublemaker who has been particularly focused and intense recently that I think is very worthwhile reading if you are not familiar with him. Matt Taibbi's blog can be found at True/Slant, and he has had some large pieces in outlets like Rolling Stone. I wanted to point him out because he's been hitting a nerve that's a lot of why I went to business school. There has been such a void of real leadership in the business community that a lot of anger and outrage and disgust has been generated in society. Pew did a study recently that asked people to rank various professions that contribute to the well-being of society. The category for 'business executives' saw only 21% agree with an assessment of contributing a lot. Even lawyers were more widely regarded as contributors. We're more and more confronting a crossroads, a major fork, of the whole concept of economics as it works in the United States. If you agree with Taibbi's general thrust, his reading is some of the most fun and in-depth you'll find anywhere. If you don't agree, I would argue, his stuff is that much more important to be aware of, because he's one of the writers that takes the time to spell out in detail his positions without losing the bluntness and passion that many people feel without being able to articulate quite so clearly. If those of us who want to largely save a capitalist, market-based system don't deal with the factors that cause such disgust with the whole system, then ultimately we are going to face a much larger period of transition and dislocation. The longer we deny that excessive feeding of ego and greed cause systemic problems, the less credibility we have in offering tweaks to the system in the face of calls to overhaul the whole thing in favor of something much different. A patriot is somebody who says what needs to be said, does what needs to be done, even if it means personal risk and sacrifice. Fortunately, we have many American patriots showing us how to do it today.